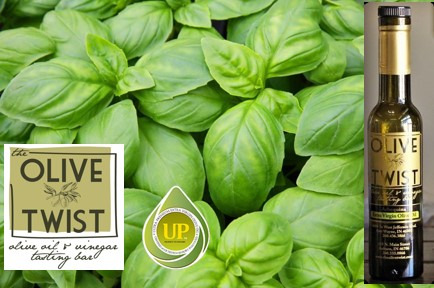 Basil and olive oil are two important ingredients in Mediterranean cooking and it was just obvious to us that the two fused would be wonderful. Try it and let your buds travel to the shores of the Mediterranean. Notes: This 'kingly Herb' oil has a beautiful, fresh, green herb taste and nose. Twist: Beautiful on summer salad or a simple pasta toss. Pairs nicely with sweet balsamic vinegar.